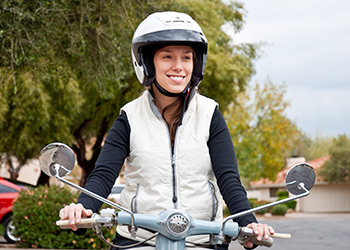 Gain the understanding and skills to become a safe and responsible moped driver in just six hours of classroom instruction. Classroom instruction includes operator and moped preparation, basic control skills, safe riding practices, how to handle complex situations, and moped care. This course does not include hands-on moped instruction. This course meets Iowa Department of Transportation requirements to obtain a moped license at 14. All students must be at least 13 1/2 years of age to take this class. Registered person must be the class participant. Please read: Bring pencil and sack lunch to class. Registered person must be the class participant.